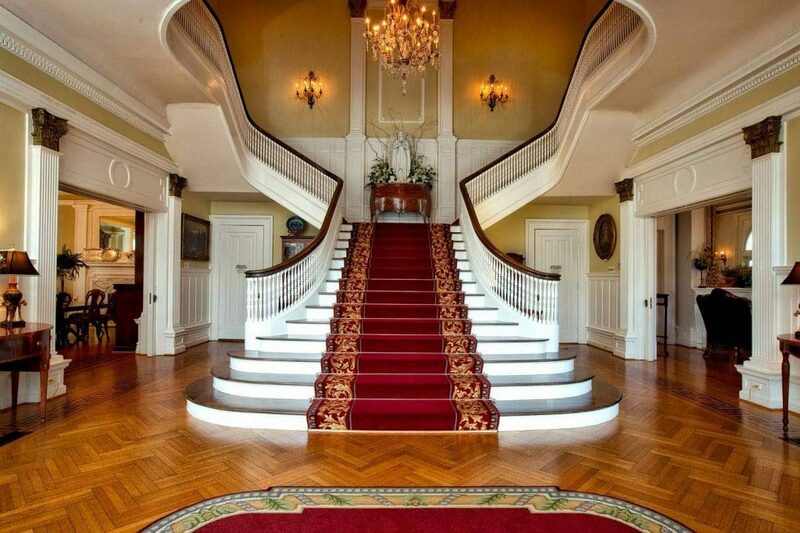 At Major Oak Polishing, we offer a full range of floor restoration services. We work with both domestic and commercial clients on projects of all sizes and have total UK coverage. Our services include basic floor repair and floor polishing to sanding or complete restoration. Our flooring experts will be happy to discuss your requirements and provide a free assessment and no obligation quote. Some of our key services are detailed below, if you don’t see what you are looking for then please contact us for assistance. Floor restoration is a skill that takes time to learn with valuable experience being gained from every completed job. Below we have detailed the basic process of a complete restoration project so, as a potential customer of Major Oak Polishing, you know you’re dealing with the experts. Damage occurs to floors for a wide variety of reasons through general day to day wear and tear. Dragging chairs or furniture, dropping heavy items or just simple high usage are some of the key culprits. In many cases, we also find that boards or blocks may not have been fitted correctly when the floor was initially laid or a previous floor repair may not have been carried out properly. If the floor is old then some sections may have aged poorly and become weak or damaged over time. 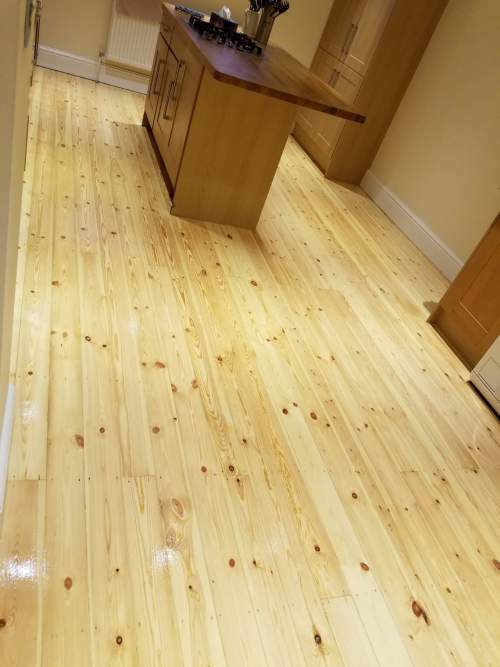 We also deal with flood and fire damaged floors and in many cases can salvage and repair the boards and blocks rather than totally replacing. All floor restoration projects begin with a thorough assessment of the area which allows us to identify any issues. We then lift the damaged areas, replacing any boards or blocks that are beyond repair. Loose boards and blocks are secured and glued to prevent any movement. Floor sanding is a key stage as it prepares the floor for resealing by removing the existing layers of varnish, oil or wax. We sand the floor until the surface is smooth and flat and thoroughly clean the area removing all residue and dust. The floor is now ready to work with and we can apply a wood stain to either enhance the natural colour of the wood or change the colour depending on the customer requirements. We can provide examples of all wood stains available and also advice on which options may work best based on our experience. After a stain has been applied and left to dry we then reach our final stage which is sealing the floor. This is often referred to as varnishing but in fact, this is just one of a number of types of floor seal available. 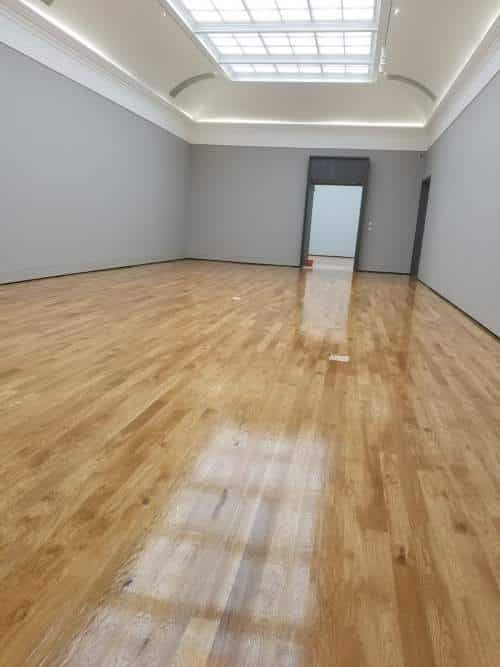 We work with Varnish, Lacquer, Natural Wax and Oils and all have their own advantages depending on the type of finish required, how to the floor is to be used and the type of wood the floor is made of. We will discuss the merits of each seal to ensure your floor is treated with the perfect finish. Depending on what your floor is used for we will provide aftercare advice to ensure it stays looking beautiful for as long as possible. 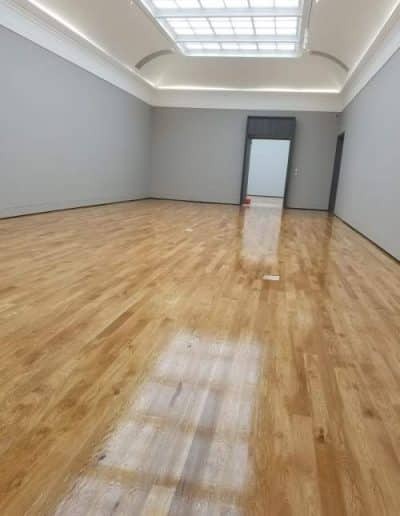 At Major Oak Polishing, we want to ensure you get the most out of your floors and are happy to offer professional, no pressure and friendly advice on any issues you may have. We are a nationwide French Polishing, modern and antique furniture restoration and surface restoration company with experience of working on commercial projects in the UK and around the world. With large, existing contracts in the Marine Services industry we are accustomed to working on jobs with tight deadlines that require a professional finish. Solid hardwood flooring is 100 % natural wood. Usually, it will be an original feature in a homemaking people think that it is impervious to damage. However, if exposed to continual moisture then damage can occur quickly and be difficult to repair. The woods usually found in hardwood flooring are ash, cherry, maple or oak. If properly looked after it can provide a great selling point for your home as solid hardwood floors beauty and strength make them highly desirable. Engineered wood has a hardwood top layer that sits on thicker layers of plywood. This means that whilst what you see is real wood, 95% of the overall flooring is plywood. This type of wood can only be sanded down and refinished a couple of times in its lifetime. The care for both solid hardwood and engineered wood is pretty similar. However, the ability to repair and restore is limited on engineered wood. This article will mainly concentrate on solid hardwood. With the proper care, your hardwood floors should last you for many years. Regular sweeping will protect your floor as even small amounts of dirt and debris can cause scratches to the surface of your hardwood floor. Should any spillages occur, make sure you clean them up immediately as moisture that gets into the wood fibres can cause damage. Also, removing stains will be a lot harder to clean once dry. Once the spillage has been cleaned up, make sure to dry the area with a soft cloth. If you wish to vacuum your hardwood floors, make sure you use the correct attachment for the floor. Carpet bristles can be very rough and cause scratches. Do not be tempted to mop your hardwood floor. If the wood fibres become saturated, the floorboards can swell and warp which will permanently damage your floor. Instead, opt for a lightly dampened rag and dry the floors with a towel immediately. Only use lukewarm water, never hot. Be very careful about the types of cleaners you use on your hardwood floors. Even some that claim to be safe for hardwood floors may cause damage when repeatedly used by stripping the finish off the flooring. 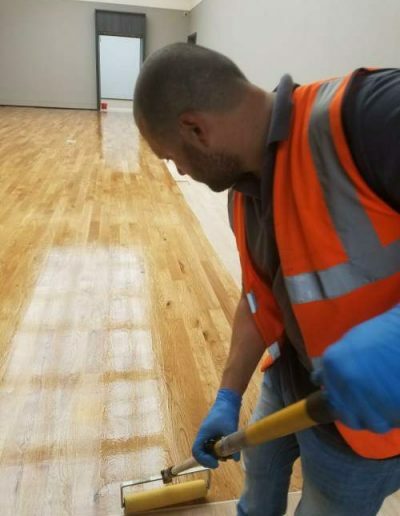 Our experts at Major Oak Polishing will be able to advise you on the best types of cleaners specifically for your flooring. As a general rule of thumb, avoid cleaning products that contain vinegar or ammonia. It is also best to avoid oil soaps as these will build up over time and create a dull finish that is difficult to restore without professional help. As discussed above, hardwood floors do not like moisture, so as well as mopping up spills and not wet mopping, remember to close windows when it rains. Don’t wear shoes of any kind on your hardwood floor. High heels will cause dents and scratches. Trainers and flat shoes can track in mud and muck that can cause scuffs and dings to your floor. You could also use a doormat for cleaning shoes before entering the home to help prevent unwanted dirt being tracked in and as a gentle reminder to remove shoes before entering the house. Pets claws are another enemy of the hardwood floor. It is a good idea to keep claws clipped short and filed smoothly where possible. Furniture should have felt pads attached to the bottom of the legs to prevent scratches when moved. Whenever possible, it is better to lift furniture to move it rather than dragging it across the floor. Never leave hardwood floors untreated, as this will cause a lot more damage to the wood. Small scuffs and scrapes can be easily covered with a little touch-up, but larger high traffic areas will need to be properly and professionally sanded and treated. Strategically placed rugs in high traffic areas can help to prolong the life of your hardwood floor. It is a good idea to have your hardwood floors regularly maintained by a professional team such as ours at Major Oak Polishing. Floor restoration, which includes a light sanding and refinishing of floors every 5 – 7 years is ideal. If your floors have a protective layer of wax, this should ideally be stripped and replaced annually. 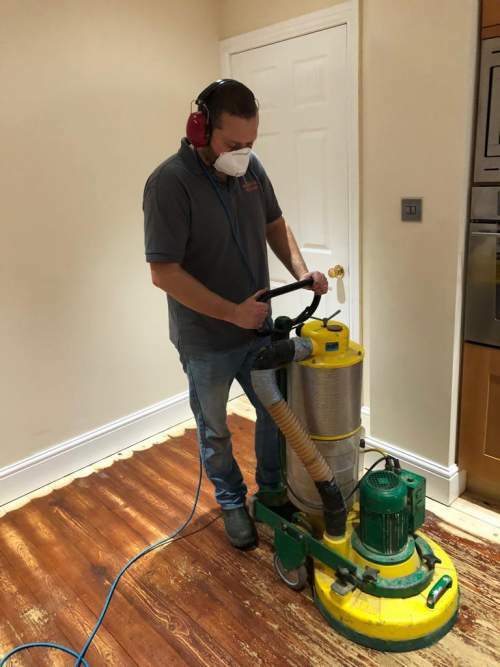 Should your hardwood floors have any scratches, scuffs or dents that require further repair, our specialist, service repair team will be able to advise you on the best course of action and restore your flooring to its former glory. Properly maintained hardwood floors give your home a warm and elegant feel, keep them looking good with the help of our professional team of experts. Hardwood flooring is fantastic. It looks great, feels lovely and is hard wearing. However, you do need to care for your wooden floors and any prolonged exposure to water can cause some terrible damage. Not only could your wood flooring get some horrible looking water stains, but overexposure to water may also cause your floorboards to warp. Hardwood floors are coated with a special polyurethane coating which protects the wood from absorbing water. So keeping this protective layer in good condition will help to prevent water damage. To protect the wood and its polyurethane coating, you should always make sure you use a specific wood cleaner, a microfibre mop and ensure it is dry after regular cleaning. We would also highly recommend annually re-sealing your wood floor to help maintain that waterproof coating. Unfortunately, as much protection as the polyurethane coating offers, it cannot completely prevent water damage if there is an undetected leak, for example, causing damage over time. Ensure you fully dry the floor. Clean up any standing water to prevent further seepage into the wood. Use an absorbent cloth/mop or towels to do this. Next, you should try to air dry the floor. You can do this with a hair dryer set on its lowest setting, a fan or if you have one, a dehumidifier. If the flooring is upstairs or above a basement, i.e. you can get to the underside of it, then apply heat from underneath, this will help to dry out the wood. If the water has come from a leaking pipe or tap, you need to identify the source of the leak and repair that to prevent any further damage from happening. Your floor is all dried out, but there is a white hazy film left behind, usually a simple fix. Use a soft cotton cloth with a very mild abrasive. Toothpaste, polishing compound or tobacco ashes mixed with mineral oil are very good to use. Being careful not to scrub the floor, gently rub the mixture on the stained area until you have removed the haze. Unfortunately, the stain left behind may have turned black, which is a little more complicated. The stain may go all the way through the wood, which will require the affected boards to be replaced. However, if it is just a surface black stain, then you may be able to fix it without replacing the board. Firstly mark out the area you need to work on with painter’s tape, this will prevent you accidentally sanding too large an area. Use a 60 or 80 grit sanding sheet to remove the surface finish and smooth off with 120 grit sandpaper. Then you will need to mix oxalic acid crystals (available in most DIY stores) with warm water. Carefully brush the mixture onto the stained area. Once it is dry check to see if the stain has disappeared. If not, brush on some more of the solution and leave to dry again. This oxalic acid solution acts as a bleach, so if the dark stain is still there after the second application, it is likely that the stain runs all through the wood and you will need to replace the board. The final step in the process is to refinish the wood with wood stain that matches the rest of the floor and seal the area you have repaired with polyurethane. You may find that the colour does not match exactly as over time your floor will have changed colour due to sun exposure, heat and general darkening of the wood with time. An expert wood flooring specialist may be able to help you match up the best stain to use to achieve the most unnoticeable repair. It is inevitable that there will be some difference between the repaired section of the floor and the original flooring as even the polyurethane will look slightly different being applied by hand rather than in the factory. 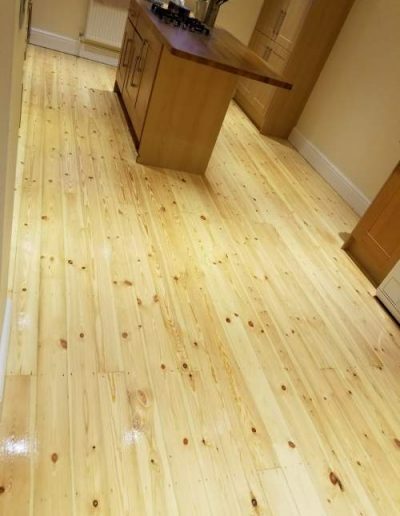 So between this and the fact that the damaged floorboard has had to be taken back to its original colour and re-stained, you may find that you are unhappy with the final result. In this instance, you may decide that re-finishing the entire floor is preferable as you are more likely to achieve an even finish. This requires quite a lot of work and while it is possible to do this yourself, we would recommend seeking the help from professionals. Should your floorboard be slightly warped due to water damage, you may be able to flatten it out by placing something heavy on it for a few days. A more noticeably warped board may require nailing down with face nails. This should be done by countersinking the nail heads along the warped edge and filling the holes with colour matching wood filler. If neither of these methods work, you will need to replace the water damaged boards. If you have tried everything to repair the damage, but find that you need to replace the damaged boards, we would highly recommend seeking the assistance of one of our experts. Changing the affected planks takes a lot of skill in order to get the desired finish. An expert craftsman will be able to source the correct wood, remove the damaged boards without causing further damage to the surrounding area, colour match the stain and replace seamlessly. • You will need to split the boards before removing. Being careful not to damage the adjacent boards, drill a series of holes along the length of the bard or make to saw cuts 3/4 inch from the edge of the board. • Use a wood chisel to pry away the centre section of the damaged board, then you will be able to pull away the remaining two sides. • Remove the original fasteners that held the board in place. • Make sure your replacement board matches the original floor and finish. • Measure the board and cut to length from the tongue end of the board. • You will need to remove the bottom groove on the side and cut the bottom board on a 45° angle along the bottom edge. This will make slotting the new board into place easier. • You may need to sand or angle the bottom of the ends of the board in order to be able to slide into place. • Slide the groove end of the replacement board over the tongue end of the existing, sliding the tongue side into the groove side. The flat end and the side with half a groove may need to be persuaded into position with a rubber mallet. • Finally, face nail along the board and countersink the nails filling the holes with matching colour wood putty. Parquet flooring is flooring that is made up of wood pieces used for a decorative effect, often in geometrical patterns. Parquet flooring is fairly expensive to install, so if you are lucky enough to have it already in your home, even if it is looking a little tired, you may want to restore it to its original glory. Imagine the delight of taking up an old carpet in your new home, only to discover there is this decorative parquet flooring underneath. But pieces are missing or broken, and it looks dull and lacklustre. It is possible to repair and restore your parquet flooring, and this guide will give you some helpful tips. Check the entire floor for any movement when you are walking, that hollow sound when you knock on it, or any obvious missing or broken blocks. You will want to make sure that the entire floor is still firmly attached to the underfloor before starting any restoration. 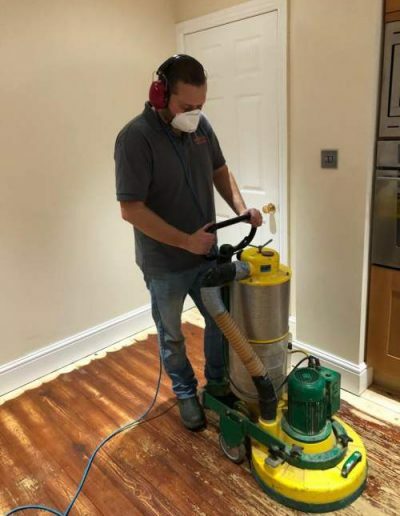 Most original English parquet floors are locked together with small tongue and groove systems, so you will need to be careful when removing any loose or damaged blocks that you don’t disturb the connecting boards. If you are lucky, you may find that you have the extra blocks to fill in any gaps in your parquet flooring already in your house. Another room that has the parquet that you do not intend to restore for example, or inside cupboards, parquet was often installed inside of cupboards too. Otherwise, you may need to go to a reclamation yard to find matching blocks or ask an expert to help you source some. You will want to vacuum to get the excess dust and debris up first using a soft bristled brush attachment. Then you should mop the floor to clean it with a solution of wood washing detergent and water. Make sure you ring the mop out as much as possible to avoid over soaking the wood. Use a scrubber to remove any stubborn marks then mop with clean, warm water to remove any soap residue, again ensuring that you ring the mop out well. If your floor is excessively dirty when you begin cleaning, mop with the detergent solution and leave for five minutes before rinsing. Then immediately repeat the wash and rinse process. Old parquet flooring was usually fixed down with Bitumen, a black tar adhesive that is no longer allowed to be used inside houses. You should try to remove any residue of the bitumen. It is a laborious job which will require chiselling, scraping and sanding (although sanding will require a lot of paper). You can also remove it by dipping boards in an odourless kerosene, but be sure to wear protective gloves, goggles and mask. Putting the blocks in the freezer before chiselling will make the job easier as the bitumen will become brittle. Make sure to clear any old ridges of bitumen as any residue will affect the bonding time of a modern adhesive. Ordinarily bonding time is between 6-8 hours, but if the old residue is not removed your time could increase to 14 or even over 72 hours. When you have removed some blocks, remaining bitumen or any damaged concrete you may find your underfloor is rather uneven. It is advisable to use a maximum 3mm per coat of acrylic levelling compound to level the floor. Follow instructions carefully when using this and ensure the compound is completely dry before installing the replacement wood blocks. Uneven sheet material could possibly be levelled out with a hand sander or by nailing or stapling thin sheets of hardboard, smooth side down. Try to re-lay in the pattern as precisely as possible based on the existing pattern of the floor. You should take your time to ensure this is right. If small gaps appear, this is nothing to worry about; they can be filled afterwards. Modern parquet floors have tiny gaps due to seasonal changes in air humidity, which makes the blocks expand and contract very slightly. Using a notched troll, spread the parquet adhesive to the underfloor. The ridges created will allow you to firmly fix the blocks in place. For smaller areas, you can use a trowel knife. The ridges spread out under the block and give even coverage. If you spill any adhesive on the surface of the blocks, use a clean cloth to wipe it off. It is a lot harder to remove once dry. You may need to cut the blocks to the correct size using a jigsaw. If it is necessary to remove the tongue on the block, do not worry, the modern adhesive will keep the blocks in place. Once the adhesive is dry, you should sand the entire floor unless both your original floor and the blocks you have sourced have a decent finish already. In which case you can skip this step and just maintain your flooring. Make sure the flooring has been cleaned as per the above, including new boards before sanding. It is best to use a belt sander to sand the floor as this won’t leave scatter marks as a drum-sander can. You will need a smaller edge-sander to reach the edges and corners of the floor. You may notice a difference in height between old and new blocks, start with grit 40 sandpaper to even out. Try to sand with the grain. Some patterns such as herringbones will make this quite tricky, but you will be making various sanding rounds which should sort this. You should start in one corner of the room and walk the belt-sander across to the other wall then walk back over the same area. Repeat with the next row overlapping the first row. Once you have finished the last row, turn 90 degrees and repeat the process over the entire floor again. Using grit 40 paper on the edge-sander, you can now sand the areas that the belt-sander couldn’t reach. You may see circular sanding marks on overlapping areas as the edge-sander uses a circular motion as opposed to the straight motion of the belt sander. Following sanding rounds will clear most marks away, don’t be tempted to try to sand them with the edge-sander as this will only make it worse. Vacuum clean the whole floor and repeat the process with grit 80. As you will need the dust of the grit 80, clean dust, for mixing with the wood-filler later, make sure you empty the sand-dust collecting bag before starting. Once you have completed two rounds with the grit 80, vacuum clean the entire floor again. Mix some of the sand dust from the grit 80 sanding round with the special wood-filler, small amounts at a time. Larger gaps may be filled with a scraper. Any excess filler will be removed by the final sanding round. You will need to leave the filler to dry out before the last souring round, between 30 and 60 minutes depending on how deep the gaps were. Using sanding paper grit 120 will remove any excess wood filler and give your wood floor a smooth surface. Use the same pattern as you did for the first two rounds. 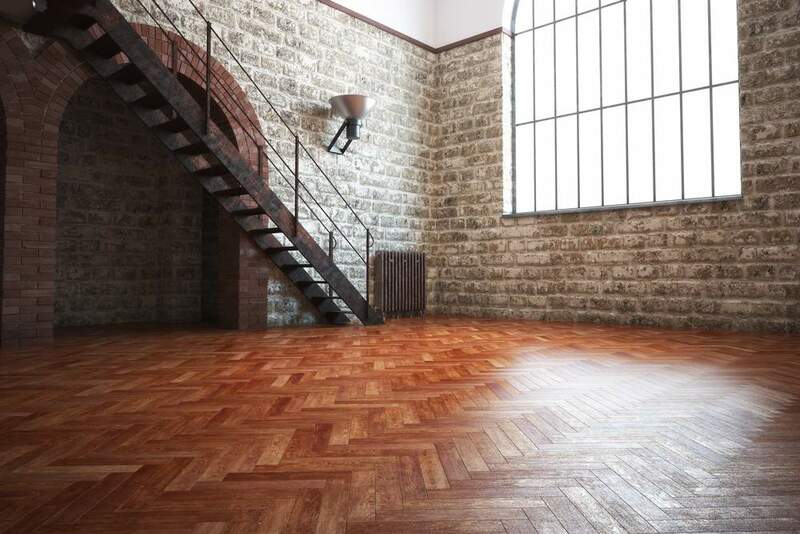 The best way to show off your newly restored parquet flooring is to use oils. The oils bring out the wood’s natural character without a glossy finish. Oils penetrate the wood for long-term protection, and a wax layer will protect your floor against general wear and tear. If you prefer to varnish or lacquer the floor, you will need to sand again will grit 150 to prepare the wood. Make sure you use a finish that is suitable for your flooring. If you are unsure, ask an expert for advice. If you notice some patches that appear more dull or shiny than the rest of the floor, this could mean that the blocks have absorbed the oil differently to the neighbouring blocks. Buff the area lightly, if this doesn’t help, wait a few days to see if it evens out. Should it still not look even, you can apply some power wax or wax polish on the areas to feed it. You may put most of your furniture back in the room after the second coat has dried (8 hours), but wait ten days for the hard wax oil to cure completely before laying any rugs.